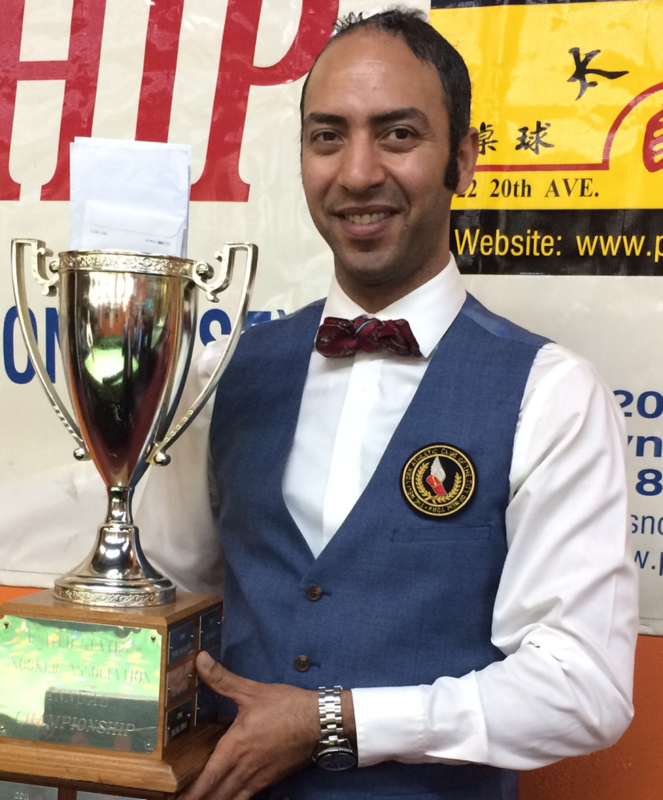 Ahmed Aly Elsayed won his fourth United States National Snooker Championship title, and first since 2011, by beating Raymond Fung 5-2 in the final at the Prince Snooker Club in Brooklyn, New York. Playing in his fourth successive final, Aly was desperate to get the title back which had eluded him for so long. He achieved his goal in a hard-fought battle against number one seed and defending champion Fung, who had defeated him 5-4 in last year’s final. Number two seed Aly had been the more positive and fluent player going into the final, as he cruised through his group matches without dropping a single frame. Fung came through his group with relative ease, though was more troubled in the knockout phase, particularly in the last 16 when he had to come from 2-0 down to beat Henry Wong 3-2 on the final black. In the final, Aly took a 4-1 lead with a top break of 66. Fung won frame six and he looked set add the seventh until Aly made an excellent 33 clearance, aided by a fluke on the final pink, to complete the 5-2 scoreline.